New Episodes Mondays at 7:30 p.m. 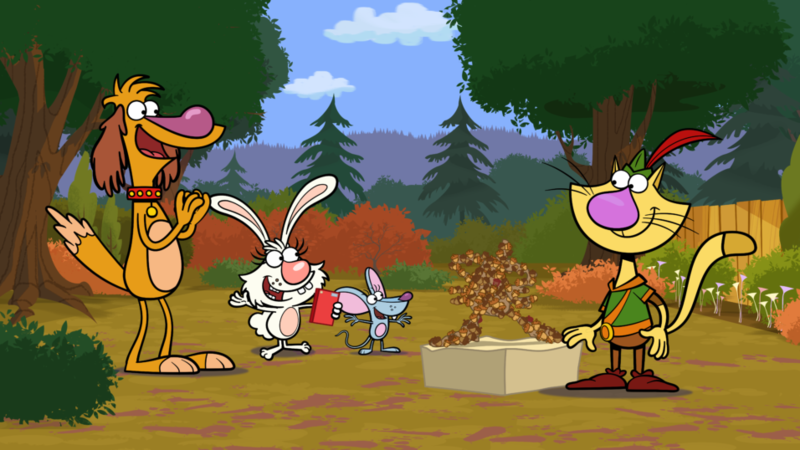 ET on Family Jr.
An extremely excited Nature Cat proudly unveils his latest nature masterpiece – a statue of himself made out of acorns. But there’s a slight problem: the statue’s acorn head is gone! 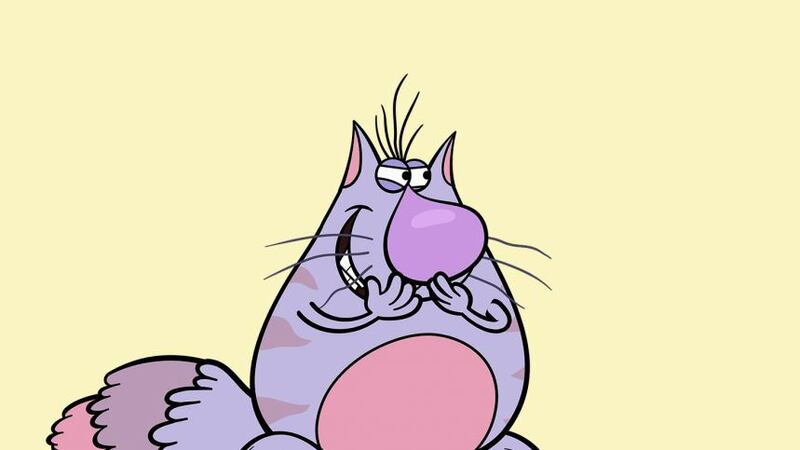 Nature Cat has a dream to be the first cat to walk on the moon. 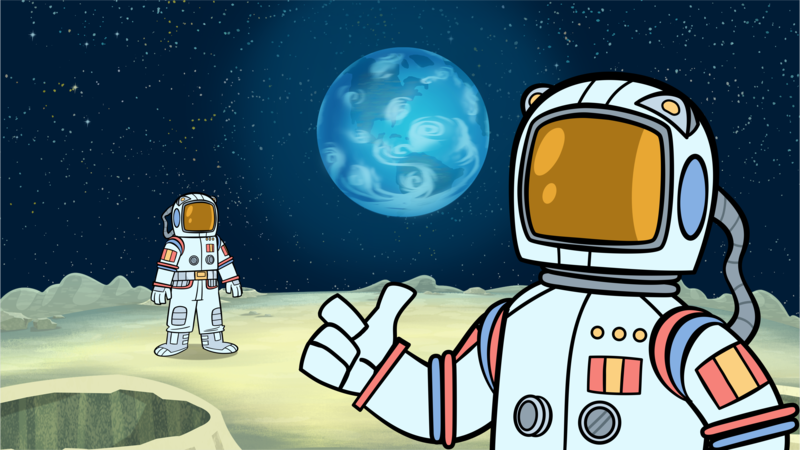 Daisy, Squeeks and Hal have always wanted to go to the moon too so they are in! But there’s one slight problem…how do they get to the moon? While playing catch, Hal’s beloved flying disc, Harold is accidentally flung into a cave. 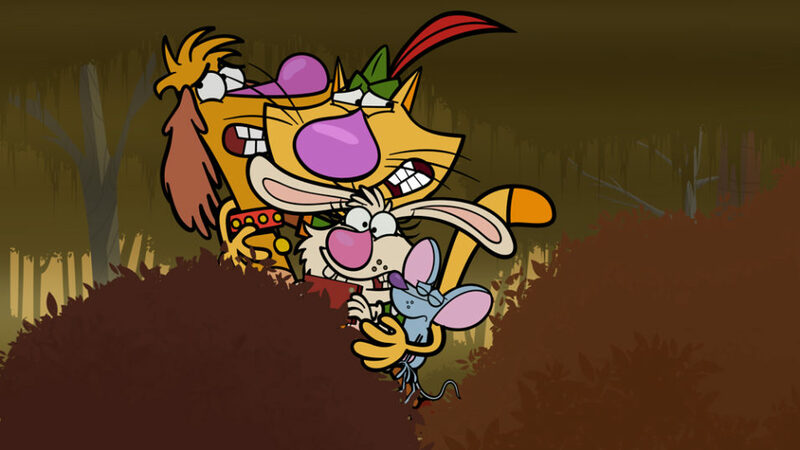 Nature Cat, Squeeks, Daisy and Hal must venture into the cave and along the way, learn a little bit about cave exploration. Daisy is determined to find out once and for all if the legendary creature, Swamp Thing, is real or not. 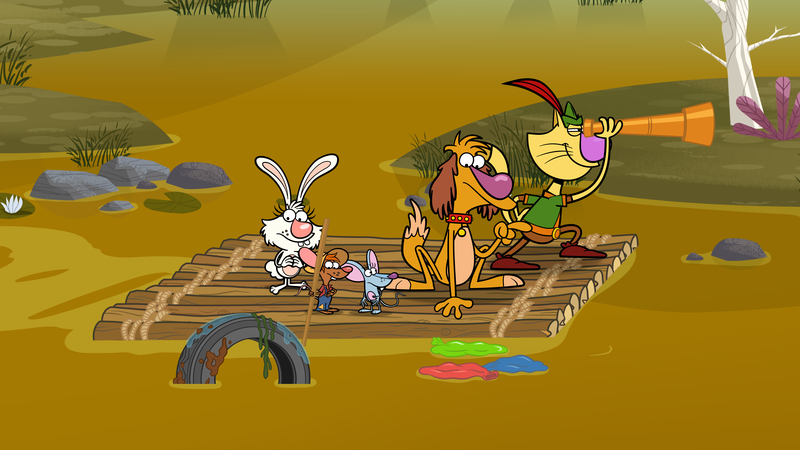 Squeeks, Hal, Daisy and a terrified Nature Cat head out to the swamp to investigate if Swamp Thing really exists. 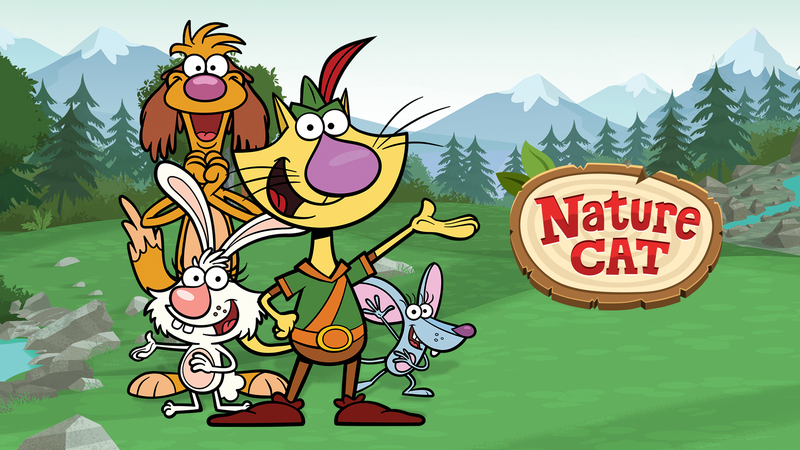 Nature Cat sees himself as a dashing, adventurous explorer who can't wait to get outside for a day of backyard nature excursions. 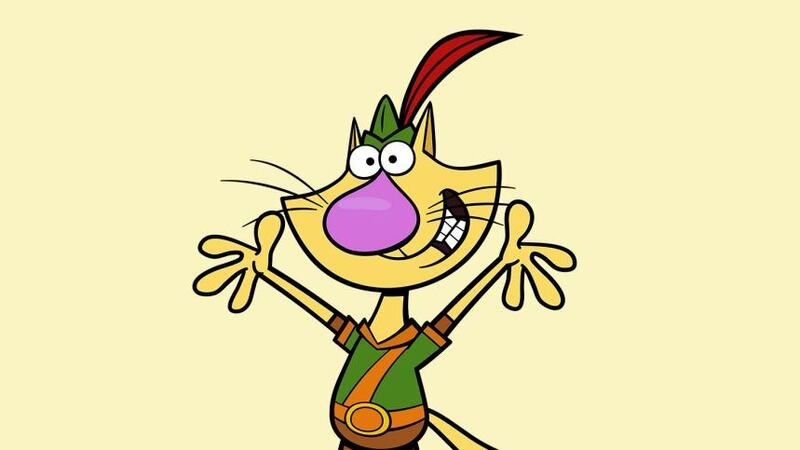 A passionate and curious feline, Nature Cat is a great friend who would do anything for his pals; he’s always ready to show them an amazing time out in nature. 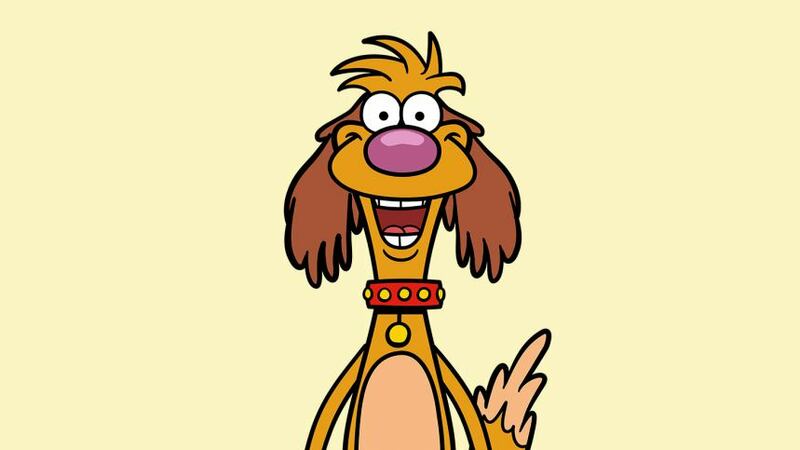 This slobbery, disheveled, rambunctious family dog plunges headlong through life – running through puddles, digging up mud, and sniffing things that make Nature Cat shudder! He’s not the deepest thinker but is so optimistic that he sees the good in everything. Ronald is Nature Cat’s arch-nemesis and his next-door neighbour. He likes to lounge around most of the time, but is always happy to compete against Nature Cat when the opportunity arises! Squeeks is a daring, fearless nature explorer, moving through world whilst relying more on her instincts than her experience and knowledge. 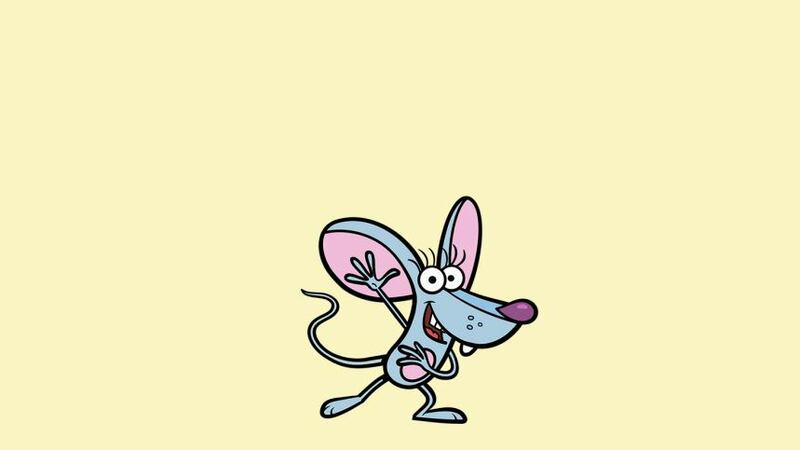 This girl mouse shows kids that no matter your size or age, you can always help out and make a difference. 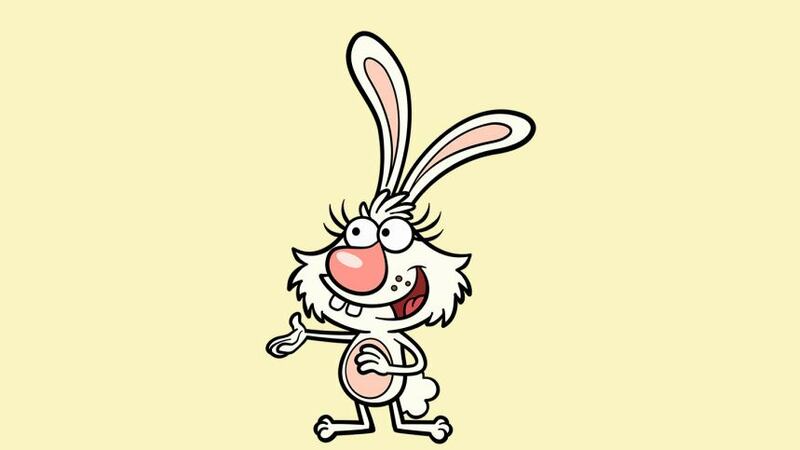 This is one wired-in rabbit! As a gadget lover, Daisy illustrates how technology can be helpful when out in nature – recording bird calls to help identify a particular bird or using the compass app to show which direction to go. Daisy asks a LOT of questions, and often weighs the options of anything and everything.